I used this book in my first classical archaeology course as an undergraduate, and later to brush up my weak points before the exams for the American School of Classical Studies at Athens.Now that I am a professor of classical archaeology, I always use this updated edition as a textbook in university courses that I teach on the subject. In addition to its great academic and pedagogical merits, I feel good using Professor Biers' book on a personal level, because he is, in my own experience and by all accounts, a kind and honest gentleman. The book arrived in good condition just days after I ordered it.You saved me some good money on my textbooks!Thanks. `The Archaeology of Greece' is an excellent book to introduce you to the numerous treasures the Greek world has left behind. Aside from plain information about the artefacts, the book also pays a lot of attention to the social background of the time. 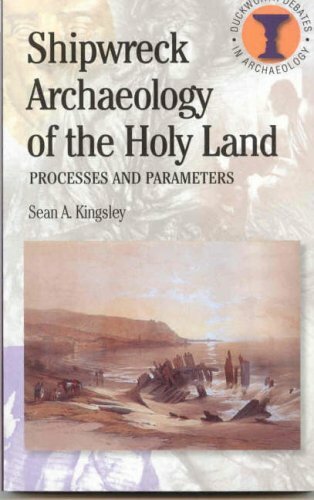 As the modern scope of archaeology lies mainly in explaining the past rather than just discovering pots and pans, this information is very welcome. Overall I find that Biers has done an excellent job in writing the book. His information is thorough and detailed and you never get the feeling that something is unclear. The illustrations are superb: you'll find a lot of nice pictures inside that are not just decoration but an essential part of the text. Yet, I take one star off because the presentation of the book isn't always as good. First, there is very little `division' in each chapter. Each of the ten chapters has a division into art, architecture, sculpture, painting and mosaics and miscellaneous stuff. But it is not enough. For example, one of the chapters is about a few late-classical sculptors, among them Praxiteles, Skopas and Lysippos. All you see though, is one long batch of text under the header `sculpture'. Especially for students like me, it would be so much more helpful to divide `sculpture' into more parts and put more heads in the text, for example one with `Praxiteles' and one with `Lysippos', etcetera. Now it sometimes becomes unclear what the author is really talking about. Additionally, the author gives a lot of information about different sculptors and styles, but he seldom compares them. And IF he does, the lack of any heads makes the information very difficult to find. Another strange thing was the connection between pictures and text. It often happens that the picture a text refers to, is one or two pages ahead of the text itself. So if page 167 refers to figure 9.25, you have to turn the page before you know what it is about. I think this problem could have been avoided easily with some better editing. Alas, the book has some typographical problems but on the level of information it's very useful and informative. I just hope these flaws will be removed in the next edition, but still recommend the book. This book provides the student of Ancient Greece with the foundations of Greek art and architecture.His book is not dry and read fairly quickly (he even managed to make me laugh a few times!) and his expertise is evident in every aspect.I enjoyed reading this book and feel that it deepened my knowledge of this subject. I didn't like it at all!!!! So you've seen a bit of Greece on tv while watching the 2004 Summer Olympics. Or maybe it has always been your dream to vist Greexe, perhaps take a sabbatical there. 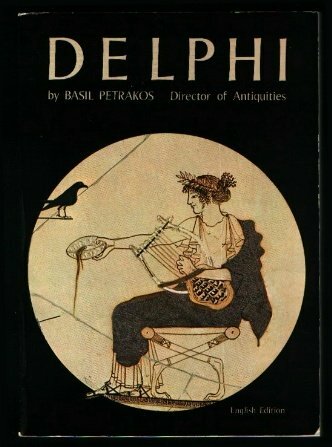 This book focuses on Olympia, where the first Olympic Games took place in about 776BC. There is a brief history of the area, as well as the original games, as well drawings and color photos of the area. The sculpture is gorgeous, as well as the reproductions of drawings from some vases. But what is even more beautiful is the land itself. The areas look sunny and bright, even the areas where the ruins are featured. Some of the evacuations of the ruins are detailed in this book. 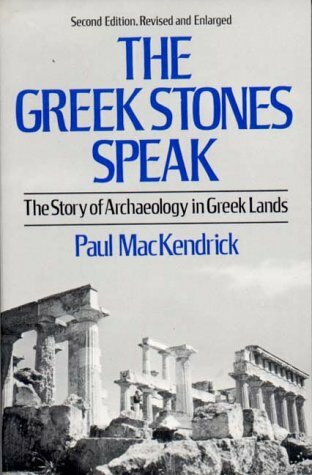 though this book will never substitue for a trip to Greece, it is considerably easier to obtain. It's also easier to enjoy without the hassle of trying to get vacation time off at the right time and getting somebody to feed the bunnies while you are enjoying Greece. So if you're interested in Greece but can't quite spring the cash or time to nake the trip at this time, read this book. You can be inspired to make the effort to make the trip to Greece. A first rate insight into Shipwrecks & Archaeology. From the ships of Homer's Greece right up to the rediscovery of the Titanic, Peter Throckmorton was able to explain underwater archaeology in an interesting and readable way - even for those who feel the content of any book on such a subject would be right over their head. This man knew his subject, taught that subject and, sadly, lost his life investigating that subject. Thankfully, he has left us all with a quality book in which this somewhat awkward subject is explained for all to enjoy. This is a large coffee-table book of 240 pages packed with information.The photographs - both ancient and modern, and the graphics are of the highest standard and there is no diver on earth who will not learn something from within these pages. Altogether a truly excellent product. Yes, this is somewhat a basic text, but it's too strong to say it is "archaelogy for dummies" - it brings Greek history to life, and what's wrong with that! Highly recommended, especially if you are about to journey to Greece.